How to change my fences? Seven ideas for ramping up your garden boundaries. Garden boundaries are very often the largest surface area of many gardens. Turning it up a notch can really transform a space.Certainly a lot of town city gardens that have a small footprint will have extensive garden boundaries. Often, fences are tired and worn out. 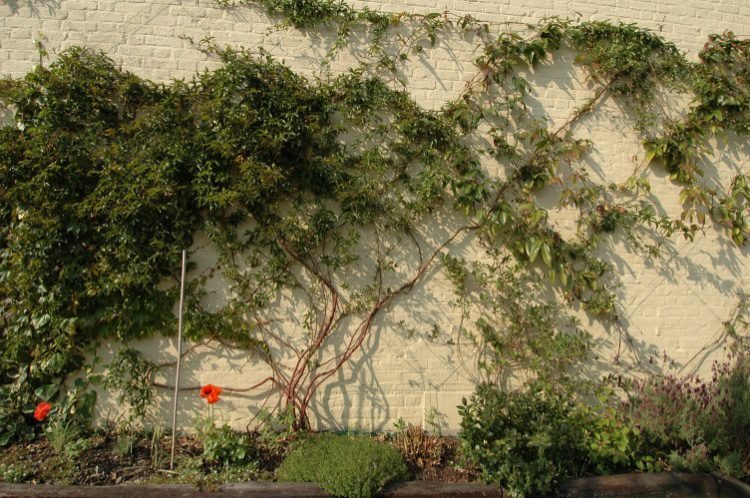 No matter how good your garden looks, you’re garden boundaries can let the space down. 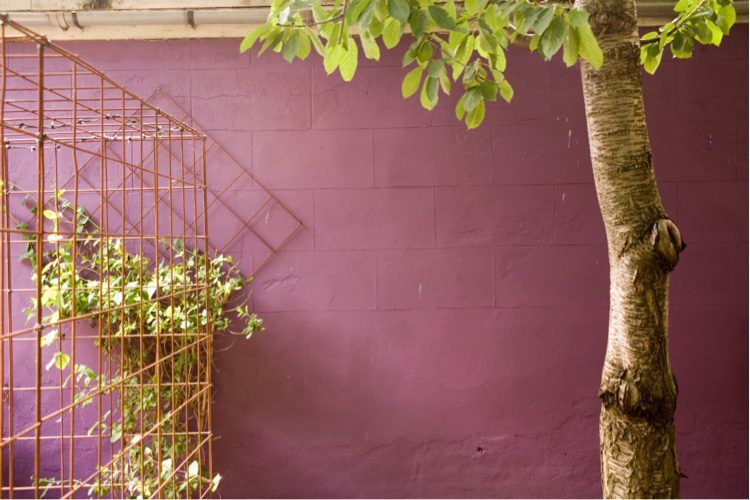 Often uninspiring and boring we give you seven ideas for boundaries to add the ‘le chic’ to any garden space. Fabulously cheap, easy to install and available in a variety of colours. Go for a black gloss if you want to add glamour to the space,. Perspex can also be reflective, adding light to the space, whilst giving you that all-important winter colour. Attach to existing fences with screws. Top tip: ask the supplier to predrill the screw holes. One of the first gardens I designed 15 years ago included stainless steel panels. They provided a wonderful reflective quality in the shady garden. They added an extra texture, as well as being an unusual materials using the space. Check out different types of metal cladding to cover up your garden boundaries. If you are lucky enough to have brick walls boundaries, I would be inclined to thank the heavens and leave them alone. Most of us are lucky enough to have such a gorgeous backdrop. If you have breeze Block walls, why not render them and paint them and nice dark grey. The planting will pop against them. Great new product on the market called Designclad. Measuring only 3 mm thick, this fabulous porcelain product, encourages you to clad a wall with large sheets. This gives the most beautiful sheer finish in natural stone effect. You can also consider cladding with sheets of textured tiles. 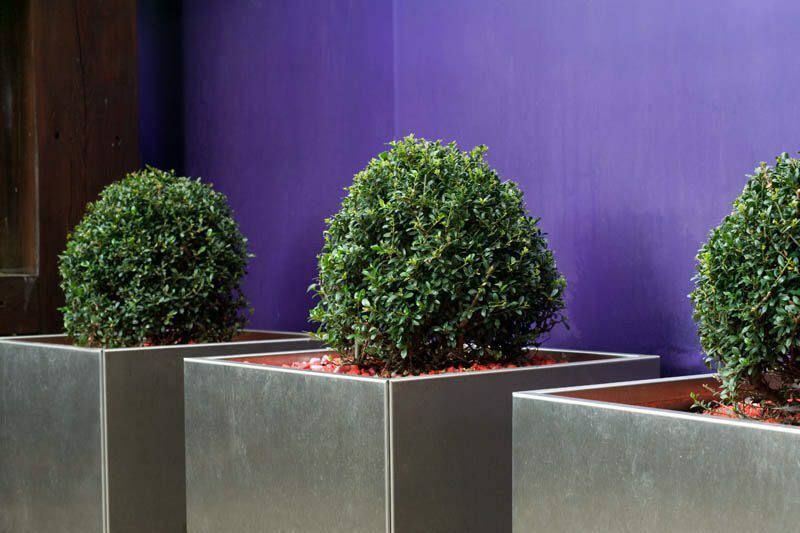 These create the fabulous look, and allow for really great materials to fill the space with tremendous effect. If timings aren’t your thing, consider vertical garden. There are many products on the market to create such an effect. 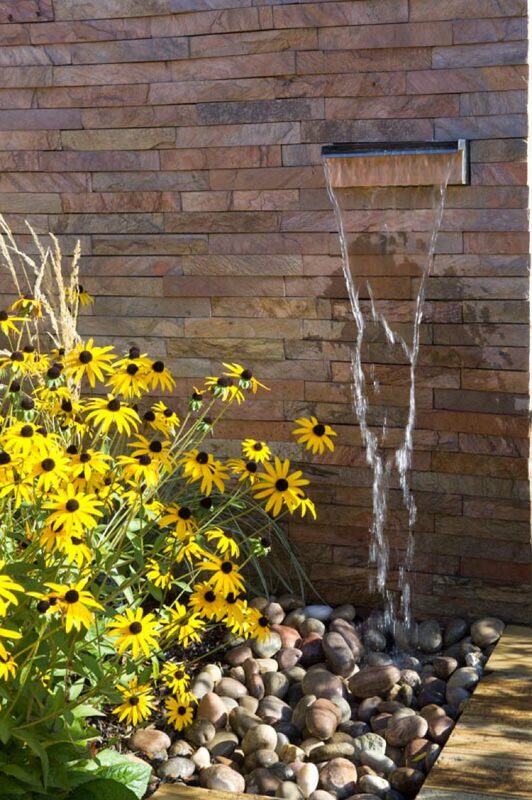 You can pick your plans according to the aspect, and you can have planting systems with integrated watering systems. Be mindful of the maintenance, and if you feel that it is maintenance preclusive-fake it! It comes on a roll from the DIY centre. It will deteriorate in time, but if you want a quick fix easy solution that is low-cost, consider bamboo, Willow or Hazel screening. 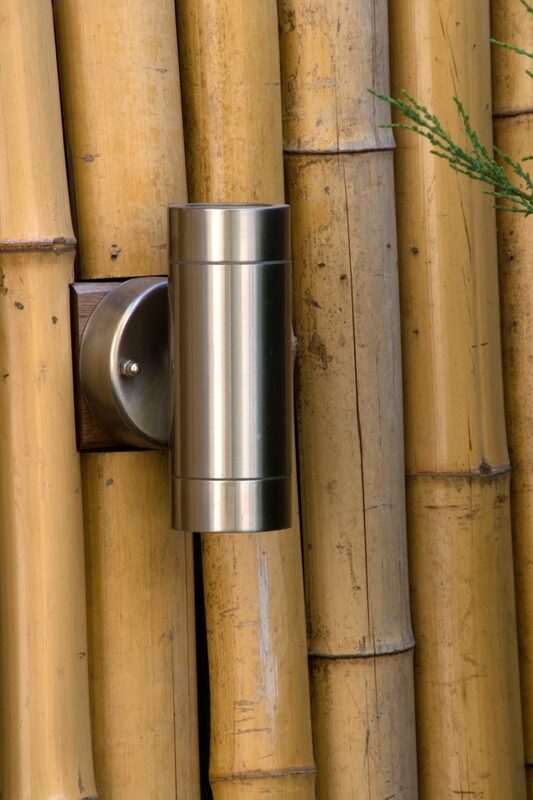 Alternatively you can get thick bamboo poles, and attach them to your fence for a more unique robust finish.